With the recent changes in economic times there are currently a growing number of distressed sales on offer around the country. So if you’re in the market for a home or property investment, a distressed property is a great option to potentially offer you instant equity and the ability to pick-up a great deal. So how to you locate, determine and select distressed property opportunities? The key is knowing what to look for! Distressed properties usually have a lot of demand from buyers so make sure you have your finances in order. There are a few pitfalls to look out for when seeking pre-approval. For example if a house is too damaged, lenders will often refuse to finance the purchase. By having a larger deposit or extra cash to cover repair expenses it can assist to increase your negotiating power. Distressed properties can often come with a range of unique conditions, so it’s a good idea to deal with a real estate agent who has experience with distressed properties. These agents can assist you with the paperwork complexities and offer advice with getting adequate home inspections and conditions. Distressed properties generally means the seller is being made to sell in an urgent timeframe. 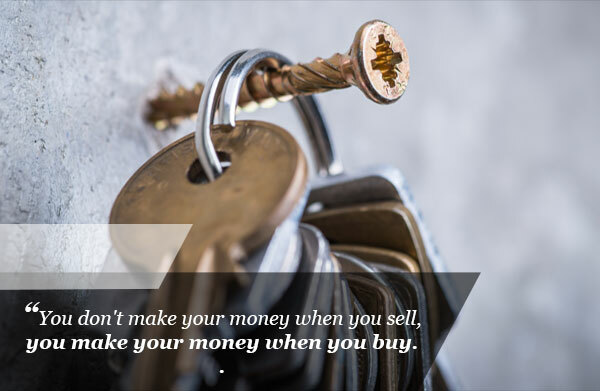 Divorce, death of a relative, job transfer, and serious financial distress are some of the reasons an owner may need to sell and fast. Many of these sellers may want to sell themselves “for sale by owner”. Dealing direct with the seller means you may be able to find a win-win situation and a great buying price without the costs and time using an agent. Buying a distressed property in a good suburb can be a great deal, as the saying goes buying the worst house in the best street as it can be a quick way to build equity as the house increases in value. However buying a distressed property in a neighbourhood that’s filled with foreclosures or a depressed neighbourhood could lead into potential problems like long rental vacation periods and a market that make take a long time to bounce back. Many foreclosed homes could be left empty for a long period of time or have been left with damage. Be prepared to have a budget for repair work and even get some quotes from building and repair contractors before making an offer. Distressed homes sometimes aren’t an easy property purchase. They are usually sold “as-is,” need extensive repairs, and require a lot of time and paperwork. However the upside in equity and rental opportunity can be worth it.